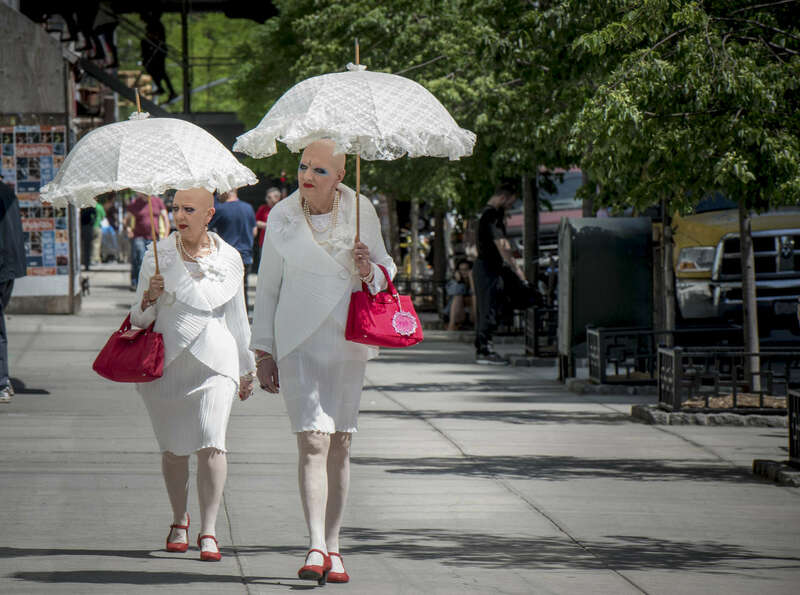 EVA & ADELE- an eccentric New York artist couple who insist their names be written in all capital letters with an ampersand- stroll by galleries during Frieze Art Fair New York Week in Chelsea, on West 23rd Street in Manhattan on Thursday, May 14, 2015. The creative couple married in Germany in 2011 after being together for 22 years, dress identically, and claim that they are "from the future." According to the women, they landed in Germany in a "time machine" before the 1989 fall of the Berlin Wall.